The stylish, affordable swimsuit Jackie O Henderson is wearing on holiday. The affordable long-sleeve swimming costume Jackie O is wearing on holiday. Jackie ‘O’ Henderson is currently on a tropical girls trip with her daughter Kitty. 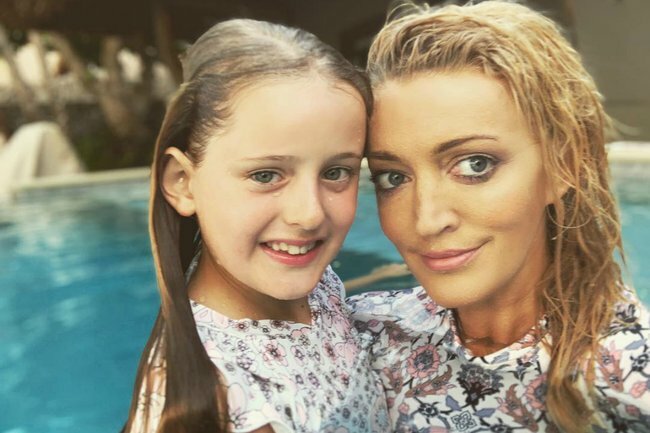 And judging by her Instagram, the 43-year-old radio host and her seven-year-old daughter are having the time of their lives by the pool and at the beach. Jackie looked great in a long-sleeved one piece in photos posted to her gram – and she received so many questions about it that she shared another full-length photo to show it off properly. 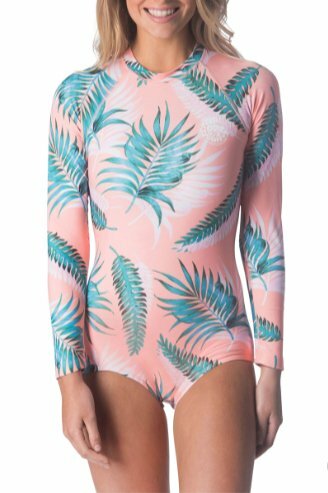 Ripcurl’s G-Bomb Long Sleeve One Piece Back Zip UV Surfsuit is a flattering hybrid between a wetsuit and bikini – and it’s surprisingly affordable at $119.99. Jackie wore the swimsuit’s floral pink pattern, but it’s also available in two other chic off white and peach patterns. Bonus: It&apos;s made with poly-elastane material and is UPF 50+, so you can be stylish and sun smart. Amazing. I&apos;m considering this an early Christmas present. To me, from me. Jackie and Kitty&apos;s girls trip comes after Jackie announced in October that she and her husband of 15 years, Lee Henderson were separating. She told the Daily Telegraph they had done so “amicably, sharing many incredible memories and remaining best friends”.